Classic Sheet Metal, Inc. is celebrating it's 37th year of providing you with the best in quality sheet metal body repair panels for classic Thunderbirds. 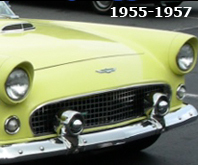 We Specialize in: 1955-1957 Ford Thunderbirds, 1958-1960 Ford Thunderbirds, 1961-1963 Ford Thunderbirds, 1964-1966 Ford Thunderbirds and 1967-1971 Ford Thunderbirds. Why buy from the manufacturer? We have experience installing our panels and can tell you the best way to install the panels we make. We can even listen to your recommendations and improve our panels to aid in your restoration. So don't waste time with order-takers. 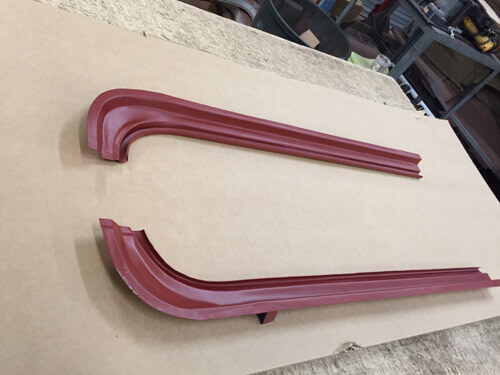 After 30 years of producing quality panels only for Thunderbirds, we have now started producing quality floor, trunk panels, trunk extension panels and now quarter dog leg repairs for the 1963 and 1966 Ford Galaxies. 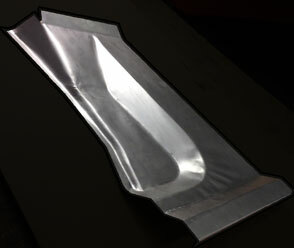 We also carry body sheet metal for many other 1949-71 Fords and Chevrolet models. 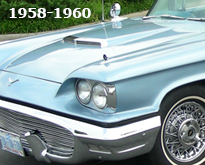 Click here for the History of the Ford Thunderbird. 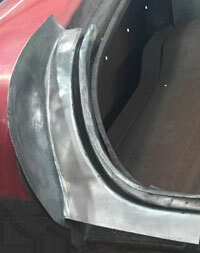 1963 Galaxie Trunk Channel rear corners! These are available for both left and right sides. They sell for $86.25 each during our sale. Normal price is $115.00 each. 63 Galaxie Trunk Channels ! These are the channels which hold the trunk seals. We make six sections at this time. The front channel behind the rear window. Introductory Price: $240.00, Side channels Price: $120.00 ea. Rear channel 51 inches long. $180.00. Click here to order. Click on the images below to go to that car. $120.00 each side or $230.00 per pair. These panels are for the left and right side and run 36 inches long. The curved area goes towards the rear glass. Left or right sides available. Picture is of a pair (Left and right) of trunk channels. 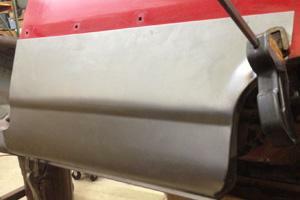 Rear channel sections now available. click here for details. Rear panels now available again! RFP-82B!! 1963-64 Galaxie side trunk repair ! 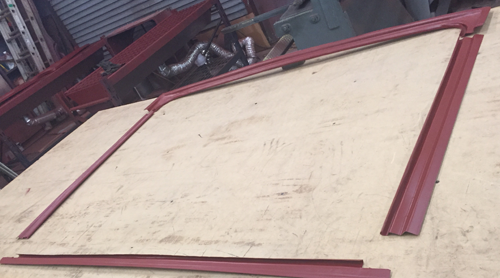 These panels replace the area of the trunk panel to the right and left of our center trunk pan. 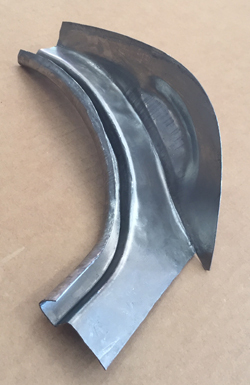 It is stamped from 20 gauge steel and measures 28 1/2 inches from the rear of the car forward and 15 1/2 inches from the trunk pan center to the trunk pan extensions or wheelhouse repairs.